Cross-Fuse® II PEEK VBR/IBF System - Products - RTI Surgical Holdings, Inc.
Cross-Fuse® II is a second generation lateral PEEK VBR/IBF device. 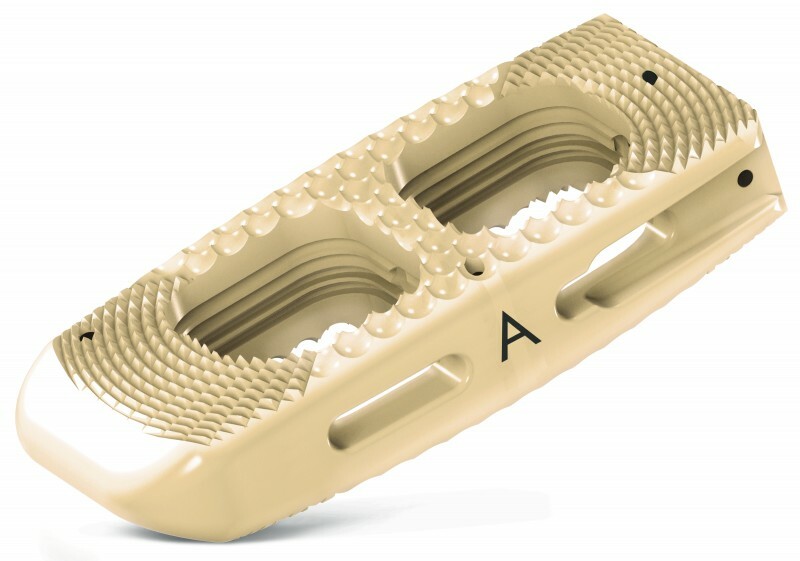 The Cross-Fuse II implant is offered in a variety of widths, lengths, heights and lordotic options, providing the ability to tailor treatment to a specific patient for a more efficient implant experience. The implant features graft containment ridges, anatomically designed teeth and anterior holes providing a strong foundation for proper fusion.